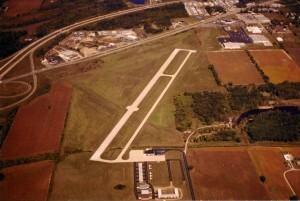 Charlotte’s Fitch H. Beach Municipal Airport features one of the only concrete surface runways at a small airport in the midwest. Our modern airfield features one of the few concrete runways at an airport this size in the Midwest. It is 3500 ft. x 75 ft. with full taxiway, complete with precision papi, and reil lighting. Charlotte has two instrument approach systems – VOR and GPS. New weather services at the airfield (AWOS and WSI) allows improved, up to the minute access to weather information for arriving and department flights. Together, Beach Airport, Charlotte Air Services & Cloud 9 Flight Training offers expert maintenance services & flight instruction, aircraft rental to qualified pilots, hangar rental & tie-down service. Aviation fuel is available for sale via credit card at competitive prices 24 hours a day, 7 days a week. Many elements of the airfield, terminal building and main hangar have undergone significant renovation over the past three years, and many more improvements are planned for the near future. 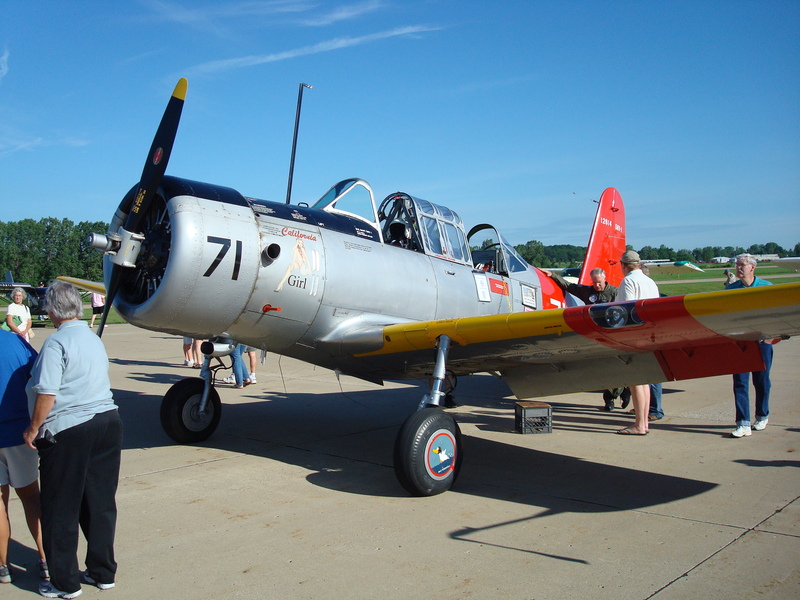 Fly-in and find out what many other pilots already know — Beach Airport is quickly becoming one of the nicest small airports in Michigan. One of many special events hosted by Fitch H. Beach Airport is the annual Lions Club sponsored “Dawn Patrol” on Father’s Day featuring a pancake breakfast. Other special events are hosted throughout the year. Beach Airport is also a great place for teaching kids about aviation. The airport often hosts tours for school children, church groups, Boy and Girls Scouts, and others. It’s a place where learning is always fun. 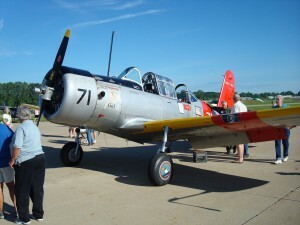 The annual Lions Club Father’s Day Fly In always features a variety of interesting modern and vintage aircraft. In addition to the flight training offered by Charlotte Air Services, several universities use Beach Airport as part of their training. Western Michigan University , Lansing Community College and Jackson Community College all use the Charlotte airfield for instructional purposes. Beach Airport is owned and operated by the City of Charlotte, Michigan. Along with airport manager Todd Cotter, a five-member airport advisory board, helps guide the City Council as it makes plans and decisions regarding the airport. For more information about the airport, please contact the fixed base operation, Charlotte Air Services, at (517) 712-8177. 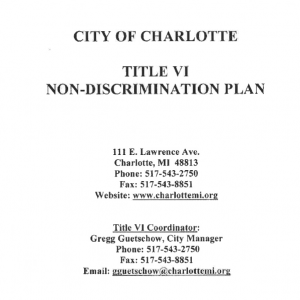 Or contact the City of Charlotte at (517) 543-8853. You can also visit Charlotte Air Services and Cloud 9 Flight Training online. The main office telephone number for the airport is (517) 543-2299.